Led by Wai Yin Pryke, National Librarian of Singapore, our hosts arranged three unique venues for the meetings. Committee meetings started off at the National Library Board building in downtown Singapore. 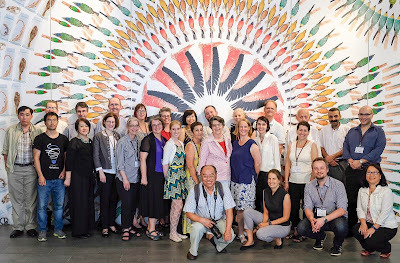 The opening day of the meetings also included a curator-led tour of the exhibitions "Shakespeare in Print: The First Folio" (which included a copy of the First Folio on loan from the University of Oxford’s Bodleian Libraries ) and "Anatomy of a Free Mind: Tan Swie Hian’s Notebooks and Creations". BHL was also treated to an overview of the rare collections from the National Library's Lee Kong Chian Reference Library. 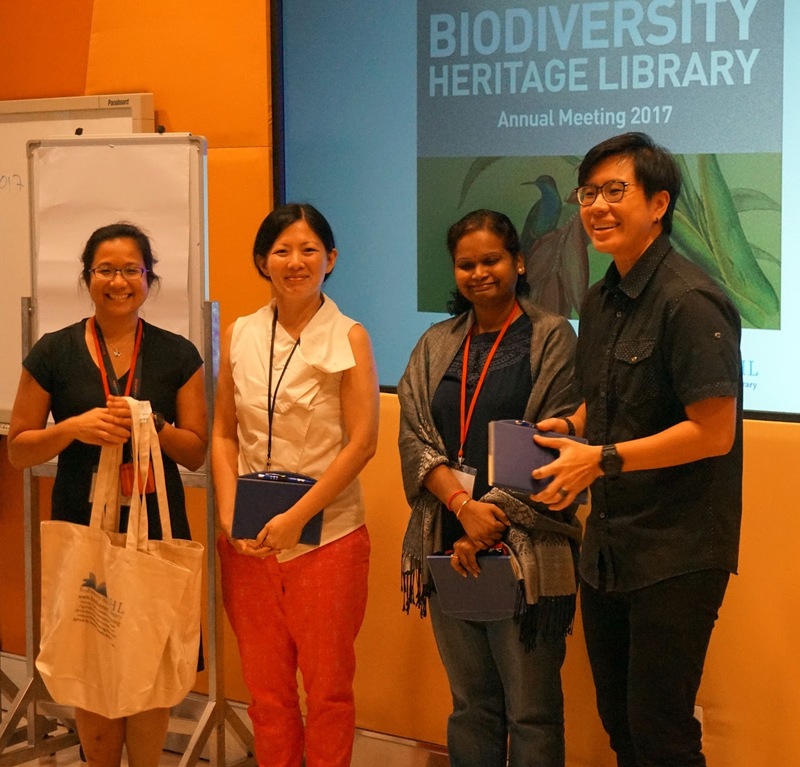 The BHL Open Day Symposium and reception was hosted by the Singapore Botanic Gardens and Dr. Nigel Taylor, Group Director SBG. At the close of the symposium, Dr. Taylor led a group on a tour of the library and archives of the Gardens and a walking tour of the fabulous tropical botanical garden. See earlier blog post for more information. All partners present were also given the opportunity to provide brief reports on their work over the past year and plans for the current year. These reports can be found here, along with reports from those partners unable to attend the meeting in person. Bianca Crowley, the BHL Collections Manager, also provided a 2016 collections report via video recording. The meeting concluded with a ceremony honoring the volunteers from around the world who contribute to the BHL. After the Partners' Meeting, Dr. Ng also kindly led a tour of the museum for all BHL meeting attendees. 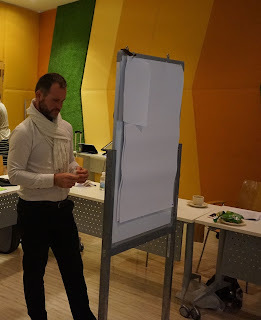 The final day of meetings saw the BHL Member representatives return to the National Library Board building to conclude the business portion of the meetings as well as the Membership Committee meeting. BHL Program Director Martin R. Kalfatovic gave the Program Director's Report, which included an overview of the coming year and outlined goals and technical priorities. 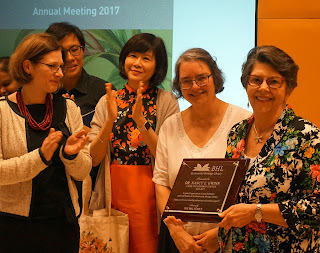 Carolyn A. Sheffield, BHL Program Manager, provided a financial overview for the current and forthcoming year and, with Jane Smith (Natural History Museum, London and Vice-Chair, BHL Members' Council) led a strategic planning session. At the business meeting, the Members voted in favor of restructuring the Affiliates fee to USD 3,000 for the first year (with an included BHL workshop) and then an ongoing fee of USD 1,000. The Members also selected the location of the 2018 BHL Annual Meeting. 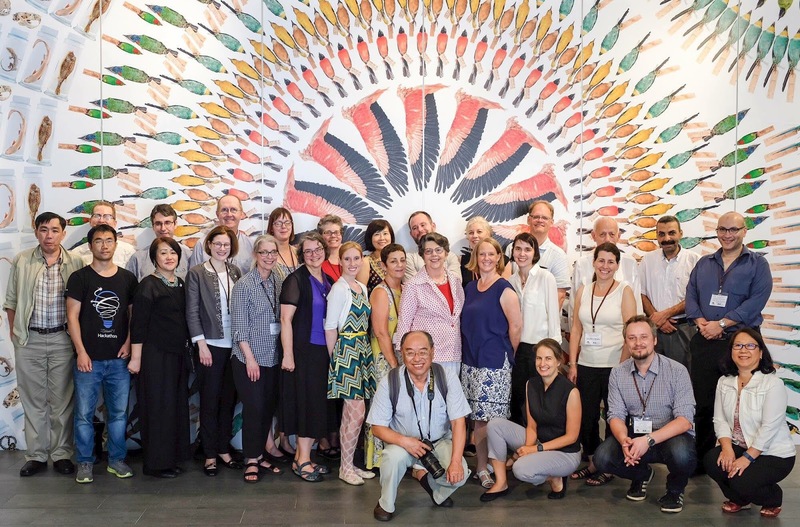 The 2018 meeting will be held in Los Angeles, California and jointly hosted by the Natural History Museum / Los Angeles County and the Los Angeles County Arboretum & Botanic Garden. The meetings were adjourned and followed by a reception where Dr. Gwinn was honored for her five years as BHL Chair. 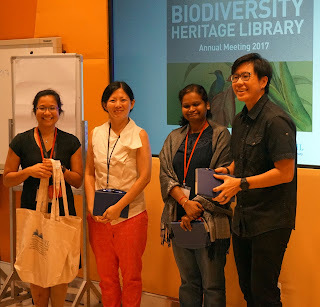 BHL also thanked all the staff from the National Library Board, Singapore, led by Wai Yin Pryke, that contributed to the success of the meetings.